We all have experienced the sensation of our hands or feet “falling asleep.” There you are comfortably splayed across the floor until you adjust, sitting yourself up partially on a leg. You attempt to stand up with great difficulty and wind up staggering and stomping around like the walking dead. This typically happens when we put pressure on our nerves by sitting in a certain way. That’s why you were shocked when you felt that same numbness in your feet after a brisk jog. Your body parts are supposed to fall asleep when you’re doing nothing, not when you’re rigorously exercising. But don’t worry! The numbness isn’t that uncommon, and it can often be fixed by changing your shoes or a quick visit to FastMed Urgent Care. The Flock of Seagulls had it wrong. You’re not running anywhere, let alone far away. If you experience numbness in your feet while running, it is most likely due to a compressed nerve. The nerves in your ankle can get trapped between bones or soft tissue, making them unable to send the correct signals to your brain. This can make your foot feel “pins and needles” or a numb sensation. If you frequently experience numbness in your feet while running, try wearing looser fitting shoes that have a stiff sole and thinner socks to alleviate pressure on your feet. If changing your shoes and socks doesn’t work, come to FastMed to determine if the numbness in your feet is caused by a compressed nerve or something else. Don’t wait to be seen for the numbness in your feet. It may not seem like a big deal now, but it could become worse if left untreated. 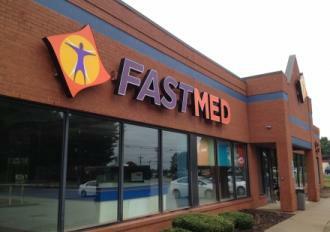 The good news is that FastMed doesn’t make you wait for days for your results to come in. We understand your time is valuable; that’s why we strive to provide our patients with the best medical care possible.